It seems to have been a good month for Clarity Hospitality Software clients. This is the second big announcement this month regarding hospitality awards. Earlier this month we congratulated the CQ Quality Hotel Wellington and Quality Hotel Parnell, both of whom received the 2015 TripAdvisor Certificate of Excellence award. Now again we congratulate two further hotels with Clarity Hospitality Software in use for becoming finalists in the 2015 Hospitality New Zealand Awards for Excellence in the 'Best Accommodation' category. Congratulations to the Bolton Hotel, Wellington, and the Art Deco Masonic Hotel, Napier. 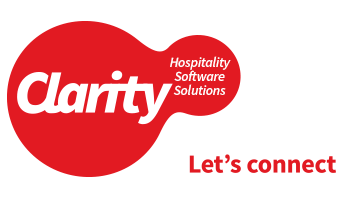 Clarity Hospitality Software are incredibly proud to hear of your successes, and we hope our software has helped you along the way to becoming such excellent providers of accommodation. Whoever wins, know Clarity have already used our party poppers, and we're not picking favourites, you're both winners! Clarity Hospitality Software's flagship software for medium to large hotels - Clarity Hotel Manager, is in use by both these hotels. The Bolton Hotel also uses Clarity Event Manager to streamline the organisation and operation of their conference facilities and other events.